On July 30, the Senate Commerce committee approved an $18.1 billion budget for the NASA Authorization Act of 2013, on a party-line vote of 13-12. This is $400 million more than even the Obama administration requested, and $1.2 billion more than the House Committee on Science, Space and Technology approved on a 22-17 (again, party-line) vote. Like many budget negotiations, these discrepancies are often rooted in partisan ideology and party loyalty. Given the current climate in Washington, particularly post-sequester, this is something of a non-story, even given the traditionally bipartisan support for NASA. However, one of the more interesting highlights–or lowlights, depending on where you stand–of the budget talks is the tug-of-war between Democrats and Republicans over NASA’s intention to capture an asteroid. The planned Asteroid Redirect Mission (ARM), proposed in President Obama’s 2010 space policy speech and described by NASA in some detail last April, would involve targeting a near-Earth asteroid, redirecting its path to the lunar orbit, and sending a team of astronauts to study the asteroid’s surface. NASA hopes to achieve a number of goals through this mission: a more complete picture of near-Earth objects, including possible threats to our planet, testing new propulsion systems, and the development of technologies required to capture and manipulate a large object in space. 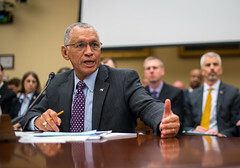 NASA, the NRC, and Smith’s concerns about reaching a national consensus on the asteroid project and NASA’s future are admirable, and the NRC’s findings on the (un-)popularity of ARM could be compelling evidence against the program. However, with the exception of vague references to “sources” and “briefers,” nowhere in this report on “national consensus” is there an attempt to uncover what this might be. If Congress is truly concerned about the will of the people, and if its representatives wish to use public opinion as evidence in support of or against agency initiatives, it must take seriously the idea of citizen engagement and developing a better understanding of national consensus. A national consensus does not have to mean forcing agreement between the parties involved; as a matter of fact, what models such as the Danish Board of Technology’s Consensus Conference show us is that differences of opinion actually enable a more complete understanding of the issues at hand. Consensus conferences can lead us to ask new questions and find solutions we may never have considered before. In a nation the size of the United States, with tremendous diversity of population, creating a national consensus could be a powerful, and empowering, undertaking. Imagine if, when issuing its order to NASA, Congress had included language requiring a consensus conference. 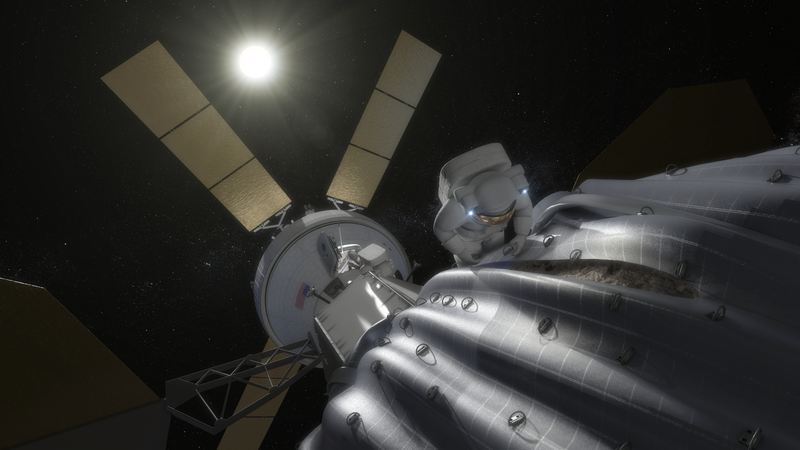 By working with an experienced boundary organization, NASA, the NRC, and Congress would be able to develop a much clearer picture of public opinion on not only the asteroid initiative, but on NASA’s strategic direction as a whole. NASA inhabits a unique position among U.S. government agencies, and to its credit, has a solid record of public outreach: In June the agency put out a Request for Information to gather external input on ARM and its sister projects involving near-Earth object detection, receiving more than 400 responses. But as noble as this effort was, public outreach does not always equal public engagement. Developing a picture of the complexities of public sentiment and consensus on our space program is hardly cost prohibitive: The World Wide Views project cost approximately $50,000 per site. Let’s compare that with the price tag on the NRC report, which cost NASA upwards of $830,000. For the cost of one NRC report, NASA could have commissioned up to 15 citizen panels. At a time when every dollar NASA spends is under tight scrutiny, a better understanding of what citizens want from their space program can only benefit the agency. Members of Congress, as elected representatives of the people, must recognize that there is more to public engagement than earning votes. And agencies, despite their good intentions, must learn that true public engagement makes an attempt to reach all the people, not just those who are already tuned in. A better-informed electorate is the key to the nation’s success. We have the tools, now we must use them. Katie Reeves is a graduate student studying science and technology policy at the University of Michigan. You can contact her at: reevesk@umich.edu.